We are fast approaching the Vernal Equinox, and once again, I will be giving a lecture at the Minneapolis Paganicon convention. This time I will be giving a presentation entitled “Egyptian Mysteries: Am Duat and the Cycle of Life and Death.” I have put together a PowerPoint presentation deck and will be doing both a lecture and presentation about how the Egyptian Book of the Amduat was the unwitting precursor to the Tarot Trump based Hero’s Journey, not be confused with the Fool’s Journey. I have long stated that the Hero’s Monomyth, based on Joseph Campbell’s book “Hero with a Thousand Faces” is the pattern for all transformative initiations, and that it aligns with the Cosmogonic cycle. The Monomyth has 17 stages, and the Cosmogonic has five, and that when jointed together it becomes the consummate transformative cycle that can profoundly change an individual as well as an entire society. The merging of the Hero’s individual cycle and the Cosmogonic cycle (17 + 5) is also represented by the 22 Trumps of the Tarot. 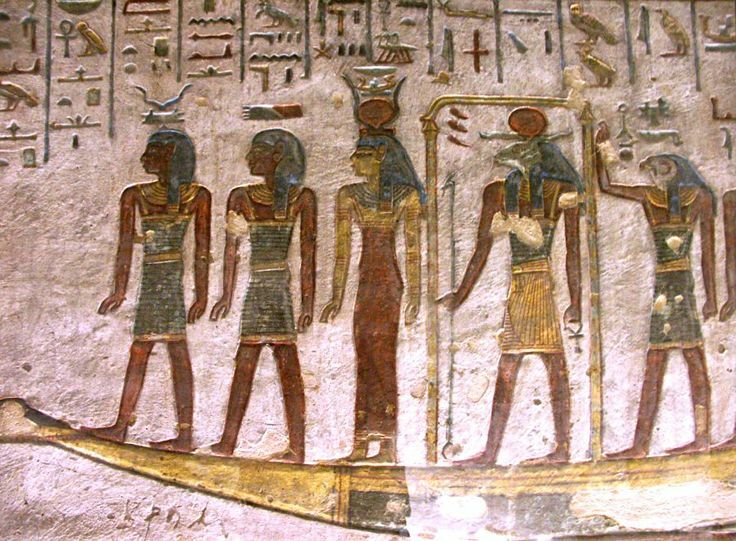 The Egyptians proposed this joining of the individual and cosmogonic cycles in the Book of the Amduat, which they graphically illustrated in New Kingdom sarcophagus chambers of the Pharaohs, starting with Thutmose III, the first of the great empire building pharaohs. While it is probably unlikely that this book, in its various renditions and versions, found its way into the occultism of Europe, it is intriguing to speculate whether or not the idea of the merging the individual cycle of transformation and the cosmogonic cycle may have had an Egyptian source. These underworld books continued to be a part of the mortuary literature even up to the Ptolemaic period, and could have been incorporated into the Isian Greco-Roman cult. There is no evidence for this claim, so we can’t make it. However, it is interesting to see this as a possibility, thereby making true Aleister Crowley’s claim that the Tarot was actually the mythic “Book of Thoth” whose magic and revelations of the mysteries of life and death would given immortality to whoever possessed it and knew how to employ its magical powers. I will be giving this presentation on Sunday, at 2:45 pm at Paganicon. The actual room is to be determined, but if you are in town you might want to attend this presentation. I think that it is a good and thought provoking lecture. 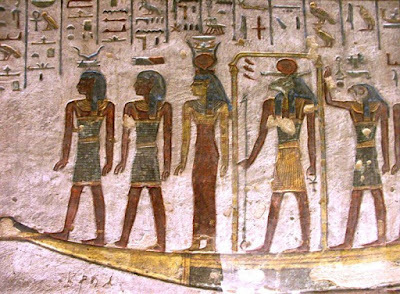 We will also take a tour through the 12 hours of the Book of Amduat as it is depicted in Thutmose’s tomb in the Valley of the Kings. I was also lucky enough to see a mock up of this section of the tomb at a traveling museum show at the Milwaukee County Museum back in 2004. I have been deeply fascinated and intrigued with this graphic presentation of the Amduat ever since I saw it in that traveling show. Additionally, I have recently written up a ritual that uses the transformative theme of the 12 hours of the Amduat to enact a powerful and decisive uncrossing ritual. The idea is that to undergo the transformation of the sun god Ra and his regeneration through the power of Osiris, the magician can break through any blockages or resistance to achieving a specific goal in one’s life path. Here is the preamble to the ritual text. “This ritual is powerful enough to overcome all obstructions (intimate and external) and thereby performs a kind of grand uncrossing spell that helps the practitioner to break free and to see his or her way to a final resolution of any matter. Therefore, this rite should be performed only after much soul-searching and internal investigation, and then the celebrant would be advised to put as much preparation and effort into the rite as possible. 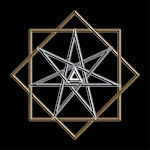 However, it would also be wise to thoroughly understand the nature of the blockage and then to encapsulate it with a consecrated and charged sigil, which would be taken with the seeker through the ritual passage. This rite uses the Egyptian underworld passage of the 12 hours of the Amduat, which is a simultaneous merging of the cosmogonic and individual transformative cycle. It is the mythic theme used to break through any and all obstructions to achieve its goal, just as the Sun God Ra does every evening when he seeks to be reborn and regenerated to bring forth a new day. This theme was the basic pattern of the underworld passage whereby an individual could become one of the divine ancestors by following the pattern of the Sun God himself. The Egyptian Underworld Ascension rite is divided into three basic sections. The first section is a simple Western oriented gateway consisting of three points that opens the celebrant to the underworld. The second section consists of an inverted pyramid representing the five trials of the underworld that must be overcome so that a successful regeneration and rebirth might occur. The inverted pyramid is a vortex structure, since all four nodes of the four watchtowers are joined together at the nadir/infrapoint, and the structure is built using a widdershins transit. The third and final section is the Eastern Gate, which represents the hours leading up to the ascendancy of the Sun and the ‘coming forth by day.’ The Eastern gateway has four points instead of three, with the zenith/ultrapoint functioning as a tetrahedral gate where the sunrise appears at the apex. There are 3 points in the first section, 5 in the second and 4 in the last, representing a total of 12 points, which allots one point for each hour of the Amduat. Each of the Amduat hours is characterized by the hours of the thematic passage along with 16 of the 32 decan gods. Since a decan hour lasts approximately 40 minutes according to ancient Egyptian night-time stellar plotting, each Amduat hour has at least one decan, and every other hour has two. Thus, three decans together equal two hours exactly (40 * 3 = 60 * 2 = 120). This also means that the even numbered hours have two decan godheads, and the odd numbered hours have just one, making for 16 overall. Double decans use a pylon structure to unite them, thus producing a very interesting and elegant ritual structure. I haven’t had a chance to work this ritual, but it is on my list to perform in the very near future. Things have been so very busy for me since the Solstice holiday that I haven’t had a lot of time to engage in my magical work. While that might be so, I have been involved with some very heavy and intense training classes on Zen Buddhism given at the local Zendo by two individuals who I have come to see as quite brilliant and accomplished in their own path. They have between them around 90 years of experience, and had studied and worked closely with the Zen master Dainin Katagiri Roshi while he was alive. I am, to say the least, quite impressed with both of these teachers, but I will write more about them and my studies in a future article. Anyway, if you can get to Paganicon and attend, then I hope to see you there. I will have copies of my newest book, and you can purchase an autographed copy from me there. I was not familiar with Joseph Campbell, have just read "Hero with a Thousand Faces" since you seemed to recommend it. Although I did not read ALL the myths excerps in the book, but read most of it. Fascinating book, I agree that his version of the Hero is a very good way to initiation (ritual structure). It also sheds some light on the hidden meanings in Myth. Thank you for metionning this author. I have read Rosemary Clark's "Sacred Magic of Ancient Egypt" and thought it was unequal proportions of decan hours. It looked like groups of stars in constellations were divided into 3 parts. Yes, they would be unequal, due to the irregularity of the decans. However, I did say "approximately" 40 minutes duration for each decan, so I think that I have that pretty well covered. The Egyptians had decans instead of the 12 constellation for a long time before adopting them, and that didn't occur until the Ptolemaic period.